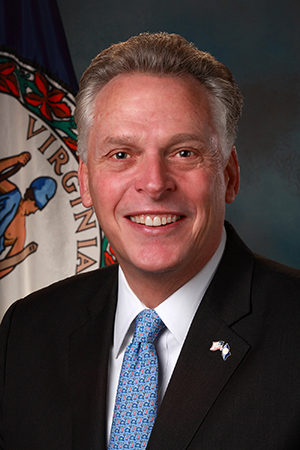 Chandler Gill at the Washington Free Beacon offers a piece on CNN's response to a Wall Street Journal story that Democratic Governor McAuliffe of Virginia (seen in the above photo), a Hillary Clinton supporter, donated to the political campaign of a woman married to a key FBI official involved in the Clinton email investigation. King discussed how Republicans still think Clinton is a flawed candidate, citing her email scandal and subsequent investigation, along with the ongoing WikiLeaks releases of hacked emails from her campaign chairman’s account. He then mentioned a new Wall Street Journal story about McAuliffe’s $467,500 campaign donation.